Joe has been a resident of Suffield since 1967 and member of the Board of Finance since 1995, the last two terms as vice chairman. He also has served for over 30 years on numerous Town and community committees, including the Permanent Building Commission, Suffield Public Library Foundation, and Sacred Heart Church finance and building committees. He earned a BS in Mechanical Engineering from the University of Notre Dame and an MS in Mechanical Engineering and a PhD in Chemical Engineering, both from Rensselaer Polytechnic Institute. 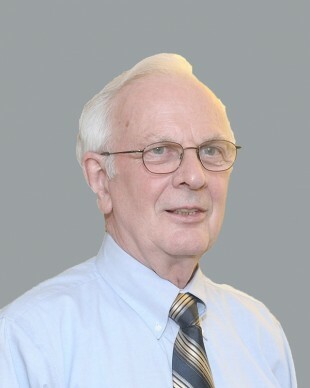 He has 56 years of experience conducting and managing engineering research programs, involving complex technical and financial challenges, for United Technologies Research Center. As a result of his extensive experience, he has acquired valuable management and financial expertise essential for the Board of Finance. If I am re-elected to the Board of Finance, I will advocate for more effective budgeting for the two main branches of Town government, services and schools, as well as necessary capital improvement of roads and buildings with equitable and affordable impact on property taxes. I also will advocate for effective use of bonding at more frequent intervals and prudent use of undesignated funds so as to control increases in property taxes.